first time build the "Messi Nessi" beast! I got into gaming with a laptop that had i5 and a gtx960M. I played mostly racing games like project cars. 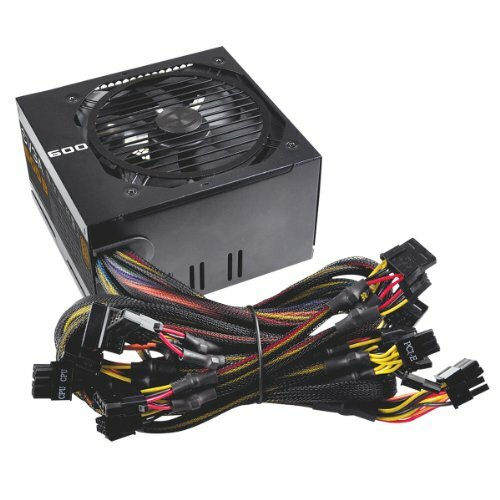 I finally decided to just build a pc for performance and fun. this was the final product of 4 months of research, and 24 hours of building. I had someone over who knew somewhat how to do it (kind of) and that helped a lot. I suggest having someone who knows what they are doing with you if it is your first time building, it REALLY helps. CPU: I chose this cpu because it is a '4 core' cpu. it only has 2 physical cores but has hyper threading so it actually runs like a 4 core. its clocked at 3.7ghz. and haven't had any problems. MOBO: this was an interesting choice. I didn't realize a few things about this. so the case came with 3 fans but after receiving the MOBO i realized it only has 2 plugs for fans. so crap... It also runs the ram at 2133, even though I had 1x8gb DDR4-2400, but has ddr4 boost, so it runs a little faster than 2133. It only has 2 RAM slots. I got 1x8gb cause i will get another 8gb stick later for 16gb of RAM. GPU: this was funny, here we were, 2 teens at 10:30 PM trying to plug in a GPU. It took us at least half an hour to figure out to take out 2 slot things on the case so it would fit. then when we got to the wiring we plugged in the wrong pci-e cable at first, (there were 2). we thought the GPU was broken cause we dropped it at least 3 times before we manage to get it into the pc. we eventually got it. But jokes aside, it runs amazing! i got it on sale and it was SO worth it. runs through anything. pretty much any game in 2017 doesn't need more than a gtx 1060 with 3gb of vram. it can run gta 5 at 60 fps on high, and like i said earlier, runs project cars at 75 on ultra. the case is great for a first time builder. It has plenty of room and has amazing cable management. even I could make it look decent with cable management. and thats saying something... the window is nice, i am adding LED soon, i'll add pics once they are in. windows 10 is so worth it, people say there are bugs but i have never had any problems with it, runs all my games great. It runs great, I forgot to put the MOBO standoff though, if anyone knows wherre it goes on this MOBO and case please tell me... I hope to build MORE!!!! any suggestions are appreciated. EDIT: I am tired of trying to explain why I got the i3 6100 instead of the Pentium g4560. I chose it based on reviews, performance, and my personal preference. If you think I chose wrong, I don't care. It performs amazing and I have no problems with it. the 6100 is rated 5 stars on amazon so argue with the 327 people who rated it. runs great so far, runs any game. highly recommend for first time builders and budget builds. had no problems, it... well... it... umm... powers thing good. i like it! lol, maybe messi nessi? The Air 240 is sort of cube-like... Qube*bert, perhaps? Excellent work your first time out, by the way. Very well-balanced overall. 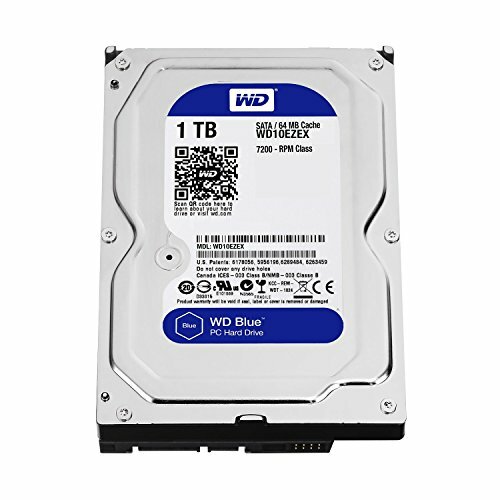 thanks, hopefully by next year I am gonna put another 8gb stick in and have windows on a small ssd, for the boot speeds (though right now it boots in 10 seconds on my hdd) and put an i7 in when the new i9 are released so the i7 are cheaper. 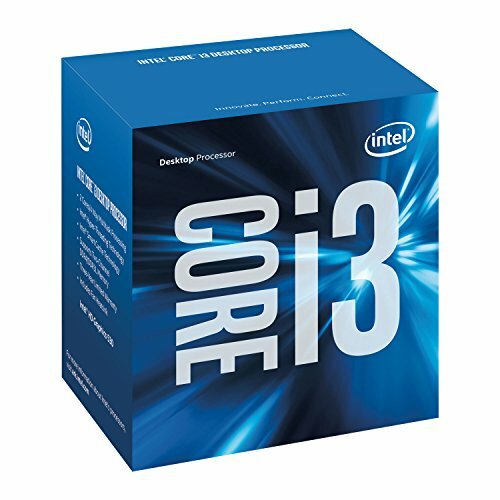 I wanted to stay with intel for the upgrade paths, and even though the g4560 performs almost the same, I wanted i3, im pretty sure my MOBO needed a bios update for the g4560 and i didn't want to deal with that my first build. In a year or 2 im upgrading to i7. Actually, yes, Skylake boards DO need a BIOS update to run Kaby Lake processors. It is literally required. If you're going to be cocky and rude toward a new builder, at least have your facts straight. Or better yet, just don't. 6100 is a really solid Cpu and you can over clock it on certain mobos with the right bios. Plus he has an upgrade path and could always swap it out with an I5 or 7.